Hornets are a part of the wasp family and the species of greatest numbers. While not all do, many species have dangerous stings -- potentially even fatal. Removing a hornets' nest requires caution and planning. Once removed, disposal of the nest also necessitates preparation. There are several methods of killing wasps as there are different means of disposing of the nest. The safest means of eliminating the hornets is calling a professional pest control company to do the job for you. However, if you decide to do it yourself, take every precaution. 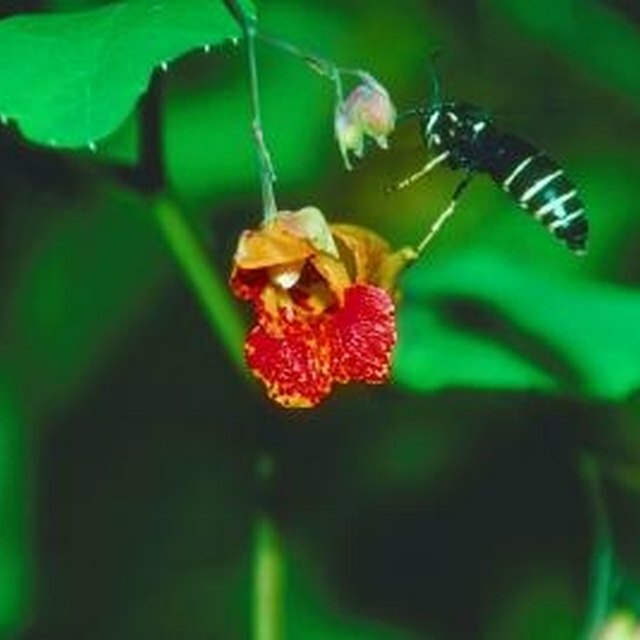 Yellowjackets are very similar to hornets. Put on your protective clothing. A winter jacket, bib overalls, boots, a scarf, a ski hat and a bandanna all work well to protect against stings. Wear leather gloves and safety glasses or goggles. Spray the hornets' nest with insecticide. If a hornet approaches you or the nest, spray it in flight. Upon contact, the insecticide should kill the wasp. If you are on a ladder, be careful not to panic and fall when hornets approach you. The easiest nests to spray are those burrowed in the ground. Simply spray the insecticide down the hole. Remove the nest. If the nest is elevated, slip a bag over the nest, break it off and tie the top of the bag. If you have a reason for not using insecticide, you can remove the nest using this method even if the hornets are still alive. If the nest is in the ground and you do not want to spray, get a mixing bowl and put it over the nest's entrance. Push the bowl into the ground a few inches and leave it in place for several weeks. Dispose of the nest. If you pulled the nest from an elevated position with a bag, drop it in a bucket of water, put the lid on the bucket and leave it inside for several days to make sure the hornets drown. If the nest is underground, after you remove the bowl, dig up the nest and turn the soil over several times. If you are stung -- especially around the face or neck -- seek medical attention.